Parents in the Coppell Independent School District are fed up with late school buses. They're hoping the district will consider a different transportation vendor. Every morning, Manpreet Sehgal waits for his children's school bus to arrive in his Las Colinas neighborhood. Sehgal has three kids who attend Coppell ISD. "The buses are late by 30 minutes, 40 minutes. When we called the school, they said we're short on drivers," said Sehgal. "It is a problem that would be taken seriously. If they have the option of changing the vendor, they should." Dallas County Schools is the transportation vendor for Coppell ISD. 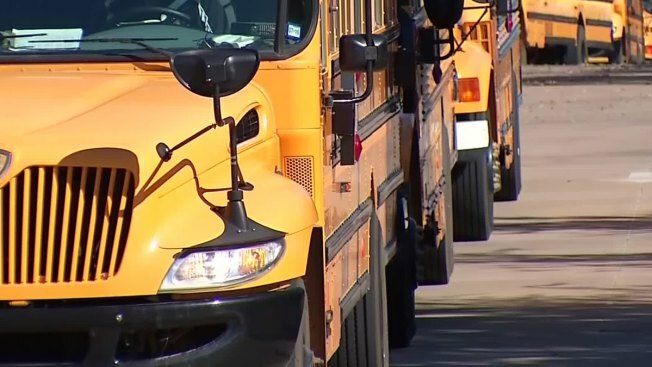 In an email to NBC 5 Investigates, a spokeswoman wrote: “Coppell ISD has had a significant and unexpected increase in student population and added 1,500 students to the bus routes. More students require more bus drivers. It’s basic supply and demand. We have recently hired new drivers to address this issue but we urgently need about 10 more." “We are working with the district to resolve this issue including increasing the rate of pay from $15 per hour to $18 per hour and adding a stipend for travel. We especially need drivers who care about children, have a commercial license already and want to go to work in a job that has many benefits. It’s a call for drivers. If you live in the area, are a teacher, a coach, or retired, we need you. The on-boarding process takes two to three weeks and involves about 100 hours of training," the statement said. Sameer Dharmadhikari has two children who take the bus to Lee Elementary School. The bus is supposed to arrive at 7 a.m. in his neighborhood. "Just in the past few days, there have been times that it has been out of control," said Dharmadhikari. "It came at 7:15, 7:20, 7:25." "...Our team has been in constant communication with Dallas County Schools (DCS) since the beginning of the school year regarding their inconsistencies in services ... Due to illness and terminations, our bus fleet remains under-staffed by DCS." Superintendent Dr. Mike Waldrip declined multiple requests for comment.